The Car GuideNewsRacingLamborghini Urus ST-X Concept: A Racing SUV? Why Not! Lamborghini Urus ST-X Concept: A Racing SUV? Why Not! Italian supercar manufacturer has just started selling its first-ever SUV, and it’s already considering a single-brand racing series for it. 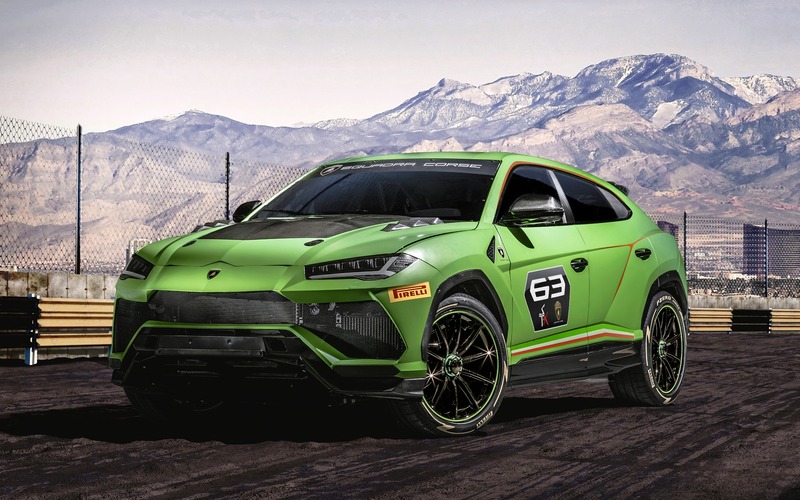 The Lamborghini Urus ST-X Concept is the brand’s vision of an SUV in a championship that will combine a race circuit and an off-road course. This competition series will debut in 2020 in Europe and in the Middle East on FIA-approved circuits. The series would include vehicles and technical support teams—drivers would benefit from an “arrive and drive” formula. The Urus ST-X Concept is specially prepared for racing with FIA-approved safety cage, fire suppression system and FT3 fuel tank. The show vehicle bears a matt Verde Mantis green paint job, a carbon-fibre hood, a rear wing and lateral exhausts, while larger air intakes provide extra cooling for the 650-horsepower, twin-turbo V8 engine. The automaker claims the race-ready Urus is 25% lighter, and the roll cage enhances torsional stiffness.